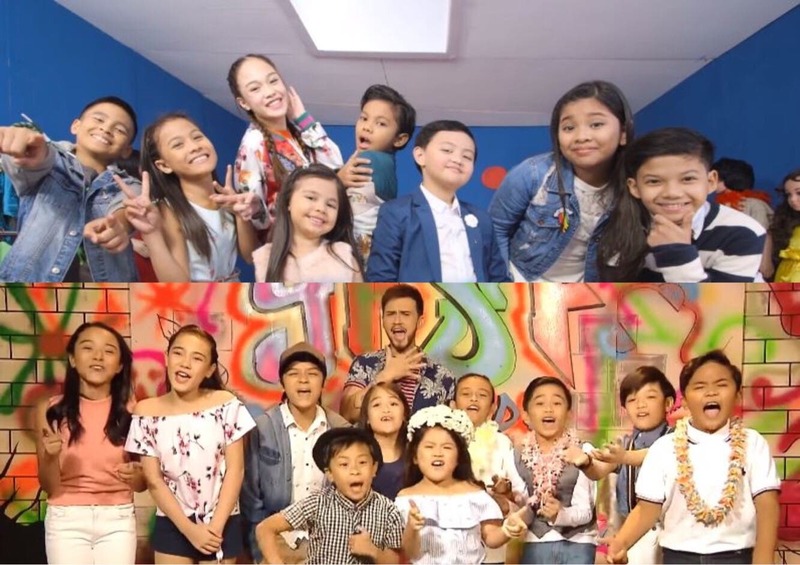 “Your Face Sounds Familiar Kids” will take cuteness up a notch this weekend as the current eight kiddie performers pair up with the previous season’s celebrity kids to impersonate some of the most iconic bands and collaborations in music. Watch out for season 1 winner Awra, who will join Esang De Torres in performing as the mother-and-daughter tandem of Jaya and Elizabeth Ramsey. TNT Boys will pair up with Sam Shoaf and give a retro-inspired number as they transform into the multi-awarded American band Abba. Sheena Belarmino and AC Bonifacio will join forces to fire up the stage in their impersonation as pop divas Ariana Grande and Miley Cyrus. Krystal Brimner and Justin Alva, meanwhile, will bring a kilig performance in their impersonation of Jason Donovan and Kylie Minogue. Onyok Pinede and Xia Vigor will also prove that they can deliver a fun and energetic performance as the tandem of John Travolta and Olivia Newton-John. Marco Masa and season 1 runner-up Lyca Gairanod are set to impress in their impersonation of OPM icons Tirso Cruz III and Nora Aunor. Chunsa Jung and Alonzo Muhlach will bring a cuteness overload with their throwback performance as the band Aqua. Which pair will impress the jury most? Don’t miss “Your Face Sounds Familiar Kids” this weekend on ABS-CBN and ABS-CBN HD (SkyCable ch 167).